For centuries, that was land and natural resources, then, it became access to financial and human capital required for the development of the manufacturing base of the industrial age. Somewhere in the 20th century we entered the ‘Information Age’, where access to data became a key source of advantage as services and communications began to dominate developed economies. Now a new shift in value is occurring. In 1999, Joseph Pine and James Gilmore wrote the book The Experience Economy, predicting that consumers would increasingly demand and pay premiums for an ‘experience’ beyond the mere consumption of any branded product or service. Starbucks coffee houses were the most conspicuous example of this. People visited them as much to ‘hang out’ or catch up on some work as to drink coffee. Howard Schultz, its CEO, described Starbucks as ‘the third place’ between home and work where because of its ambience, and the time you could linger, people would pay up to $4 for a coffee. This desire for an experience beyond the product or service has grown. It requires the mingling or merging together of marketing, operations and human resources because, for the consumer or the customer, the people, the messaging and the product or service provision become integral parts of a bigger whole and, in some cases, indistinguishable from each other. 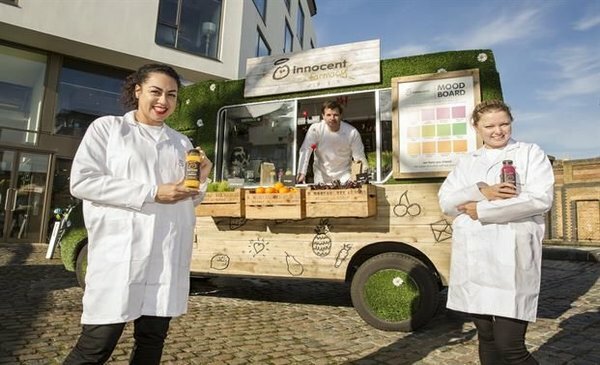 People who buy Innocent drinks rather than other smoothies are buying its quirky sense of fun as much as the healthy product. Above all, the experience economy requires constant innovation or invention as a key source of value. Customers want predictability of outcome but they don’t want sameness of experience. They want to know they will get something of value that is consistent with their perceptions of the brand but which is updated, upgraded or has the capacity to surprise them in a relevant way. In order to invent and innovate regularly and relevantly, companies need to achieve unprecedented levels of intimacy with their customers. They need as much as possible real-time information about what their customers like or don’t like, what they want or desire. This goes far beyond gathering the opinions of customers in a way that is remote from the experience, such as through focus groups or gathering their reactions through high street or online surveys. It means being in a continual conversation with customers, who will give you as much information as they want in the expectation that you will use it to improve their experience. In fact, it goes beyond a conversation into the co-creation of the experience itself. 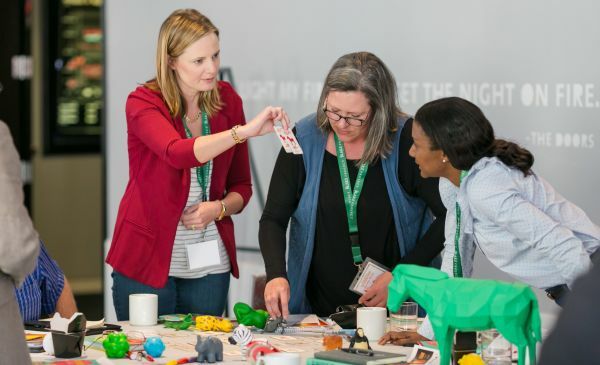 In an effort to refresh constantly the relationship with customers, companies are investing in experiences that are ‘immersive’, by which we mean that customers or consumers are actively engaged in or participants in them. This is a trend best exemplified in the entertainment business. Punchdrunk, for example, an innovative theater company, puts on shows in unusual, ‘non- theatrical’ venues and then involves the audience in the performance in unique ways where the audience ‘controls’ the experience. Its award-wining production of Sleep no More, a version of Macbeth, has run in New York for more than three years. It takes place in 100 rooms over six floors of an old warehouse building and each member of the audience can walk through the warehouse and the story at his or her own pace, choosing which part of the story they want to follow. This personalization, co-creation and ‘participation’ in the experience is increasingly what other commercial sectors are aspiring to. It might be as simple as having your favorite picture on your bank credit card or your name on a Coca-Cola can, or more useful such as Amazon’s profiling, or more immersive such as Google Cultural Institute or Burberry’s Bespoke tab on its website. For this to work, the participation has to be relevant to the brand and its consumer, of course, and it also has to be relevant to its purpose. Just because organizations can, doesn’t mean that they should. Technology allows us to engage with customers whenever we choose, but the question is ‘Should we – does it add value for the consumer?’ You only need to think of the irritating customer relationship management (CRM)-driven cold calls that interrupt our Saturday evenings, or the spam that clogs up our e-mail on a daily basis. The filter of an effective purpose places a check on how, and when, we engage with customers over these channels to ensure that we are doing so in a way that creates value for the consumer and the business. O2, the telecom operator and one of the most successful purpose-driven brands, has a proposition called ‘Priority Moments’ where it texts customers with invitations to concerts at the O2 Arena or sporting events. Its purpose is ‘Helping our customers connect to the people and things that matter to them’ and this provides the lens through which the brand makes those decisions about what to communicate to whom. Since Shaun and Joe Wheeler wrote their book Managing the Customer Experience in 2002, customer experience has gone mainstream, but it has been made hugely more important and complex by the addition of the ‘omni-channel’ approach. Omni-channel includes not only traditional media channels but also every touchpoint through which the customer experiences the brand. The product, the packaging, the place in which it is sold and the people who represent or sell the brand across every channel – including physical, social and digital – have to deliver a consistent experience of the brand. They are all ‘channels’ for establishing a conversation with the customer and creating a perception of the brand. If any of them operates in a way that is inconsistent or at odds with the sense of purpose of the brand, it will dilute or, at worst, destroy value for the business. Being on purpose has a double meaning – the notion of purpose beyond profit and also the sense of being intentional about delivering the customer experience. This becomes all the more important when delivering an experience across multiple channels because the variables increase exponentially and therefore the opportunity for inconsistency is massive. All the more reason, then, to take a joined-up approach. As Ronan Dunne, CEO of Telefonica UK, the owner of O2, says, ‘it only works when it all works’. 1. They Stand up for something that they believe will deliver true value or otherwise improve the lives of their customers or consumers. 2. They Stand out from competitors by intentionally and consistently delivering a distinctive customer experience across all channels that is consistent with their promise. 3. They Stand firm by creating the appropriate culture to ensure sustainable and authentic delivery over the long term.